How can native Hawaiians preserve their cultural ties to the land in a changing future climate? Using biocultural and participatory approaches, this project carries out an in-depth study of traditional and local ecological knowledge (TEK) in Ka‘ūpūlehu, Hawai‘i Island. 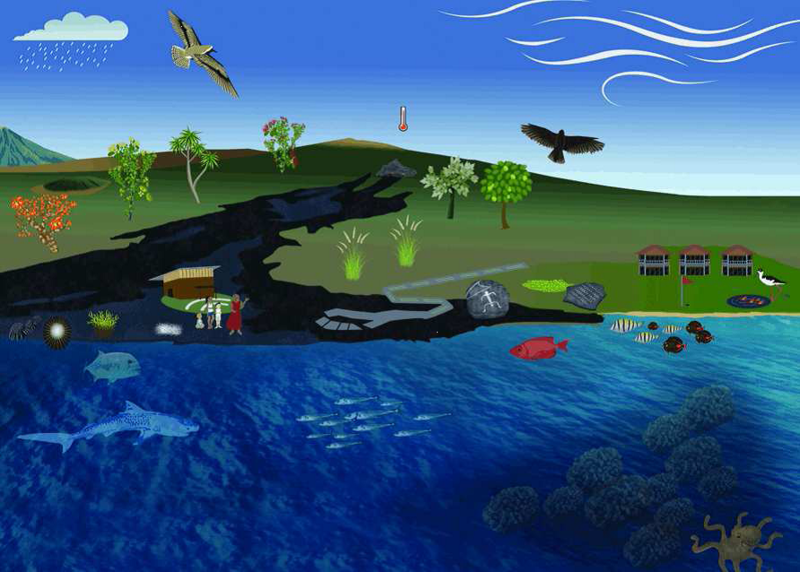 Researchers and community members identify knowledge relevant to environmental change; the biological and cultural resources most valued by community members; and coping mechanisms, adaptation strategies and resources that promote social-ecological resiliency. Products include a compilation of TEK that relates adaptation to environmental change; maps of culturally important resources under current and predicted climate change scenarios and strategies for their conservation; the development of community-based monitoring plans for key cultural resources; as well as a TEK website.